Marlborough, MA -(April 12, 2018)- This past January, the sixth annual Funding Futures Chicago (FFC) event raised over $145,000 for LuMind™ Research Down Syndrome Foundation (LuMind RDS) to fund Down syndrome research. Funding Futures began in 2012 when a group of dedicated families in the Chicagoland area decided to host a fundraising event for LuMind RDS (then DSRTF) with live music, food, drinks and a silent auction. Since the first event, FFC has raised over $700,000 for LuMind RDS, and continues to grow. 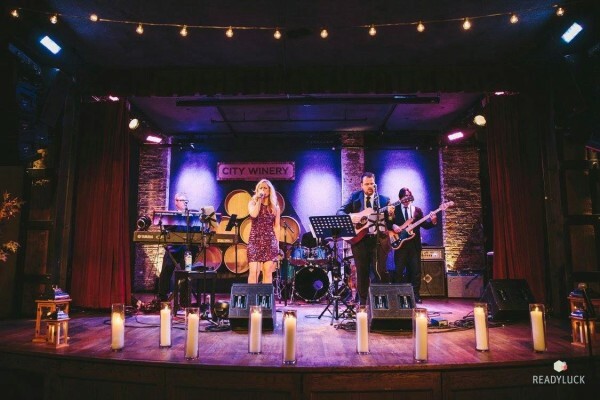 On September 20, Funding Futures New York (FFNY) will make its debut at City Winery in New York City. The September event will be organized by a new committee established in New York City, comprised of parents, friends and family of children with Down syndrome and LuMind RDS supporters. The committee members include Genevieve Shaw Brown, Rachel Adams, Joan O’Neil Ipsen, Austin Gordon, Joey Orfini, James Orfini, Katie Peraino and Tara Doyle. Proceeds from the Funding Futures events support research projects funded by LuMind RDS to prevent Alzheimer’s onset, improve cognition, develop gene therapy and advance understanding. Since 2004, the Foundation has provided $17 million in grants to fund research for individuals with Down syndrome at top institutions including University of California San Diego, Stanford University, University of Arizona, Johns Hopkins, Emory, MIT, and UCONN Health. For more information on Funding Futures, or if you are interested in joining the Chicago or New York committee, please visit www.fundingfutures.us. For more information about the research funded by LuMind RDS, please visit www.LuMindRDS.org. LuMind RDS aims to meaningfully improve health and independence in people with Down syndrome through cutting-edge science. Established in 2004, we have invested $17M in research at top academic institutions and biopharmaceutical companies leading to substantial concurrent funding from the NIH, industry and other sources. LuMind RDS-funded research has led to the discovery of 10 therapeutic targets, the development of 2 Down syndrome-specific cognitive assessment scales, the conduct of 14 interventional and observational clinical trials in 1300 participants and the initiation of several consortia.